The draw already determined the rivals and matches for the group phase of the Pan American Games in Lima. The most popular sport in the world starts on July 28 and has as big favorites Colombia and Argentina. 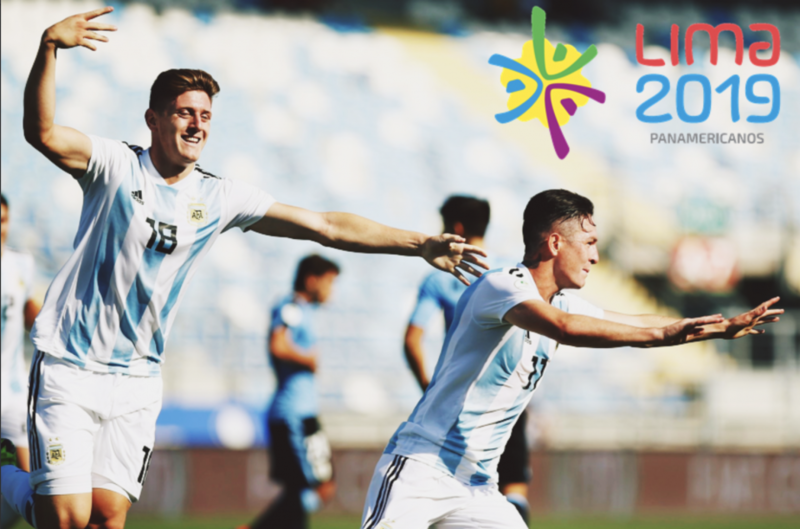 With the San Marcos University Stadium absolutely ready to host the Pan American event in fact, it was already the scene of the South American U17, the soccer in the Pan American Games only lacked the formation of groups and games of the first phase. In women’s football two groups were formed: in the Group A are Paraguay, Colombia, Mexico and Jamaica. In the Group B: Peru, Argentina, Costa Rica and Panama. In Men’s Soccer, in Group A will play Panama, Mexico, Ecuador and Argentina. In the Group B: Peru, Uruguay, Jamaica and Honduras. The women´s inaugural match will be on July 28, from 10:00 h with Mexico against Jamaica. At 1:00 pm, Paraguay will play with Colombia and at 5:30 pm, Panama with Costa Rica. The date closes at 20:30 with the match between Peru and Argentina. The men’s soccer, begins on July 29, with the match between Panama and Mexico (10:00 h), then play Ecuador with Argentina (13:00 h). Jamaica and Honduras will face each other at 5:30 p.m. and close the day with the main game, Peru against Uruguay at 8:30 p.m.
Soccer starts with the female category, scheduled for July 28 with a quadruple match-day that will start at 10:00 am. While the male starts on July 29, also with the first four matches of the two groups of the tournament. Of course, between date and date, there will be two days of rest for the teams. The matches in the Pan American Games will be governed by the rules of FIFA. In the first phase, three points will be awarded for a win and one for a draw. The first two of each group classify to semifinal and from that instance, in case of a tie, it will be defined under the modality of extra time of 30 ‘. If equality persists resort to the penalty shootout. The stadium belonging to the National University of San Marcos is part of a project for improvement and modernization. The works began in May 2018 and was delivered on March 13, 2019, before the announced deadline, which initially was for March 31.